Odyssey Productions is the commercial production arm of Craig Parry Photography. Led by Craig, the offshoot was brought to life in response to an increasing interest by corporates and individuals searching for a creative who could bring a fresh perspective to their event or project. Bringing his unique, signature style to each project Craig works closely with clients to develop their vision and consistently ensures a successful outcome which exceeds all expectations. Applicants may enter up to five photos in total, however only one photo can be entered per category via the Alpha Awards website. All images must be taken with Sony Alpha gear (body and lens). Twenty-four lucky finalists (3 from each category) will be chosen by Sony Alpha Ambassadors and professional photographers, Mark Galer and Craig Parry. Category winners will be invited to attend the Sony Alpha Awards ceremony on 1st June 2017 in Sydney where the winners will be announced. Submissions will close on Sunday, 7th May 2017. 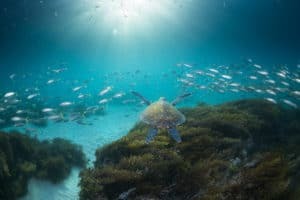 Grand Prize: $3,000 of Sony gear and an overseas trip for the winner to Tonga in August 2018 which includes a photography workshop with Craig Parry, an international, multi-award winning nature photographer. Portrait: A photo of a person which reveals more than just the surface of the subject. Landscape: A photo of a place or thing. There is no separate category for architecture – photographs of the built environment should be entered in this category. Macro: A photo captured at high magnification (magnification of less than 25:1 is unlikely to be considered). Sports: A photo of a sport being played, or related to the culture of a sport. Editorial: A photo captured as part of a larger body of work (image series, illustration for an article, advertisement, etc). Judging in this category will consider the context of the image capture, especially in the shortlist stage. Entrants submitting work from an image series may be required to supply the full series for consideration. Nature: A photo of the living world. Animals, plants, fungi – anything from prokaryotes on up. Images that do not prominently feature living things may be penalised; such images may be submitted as landscape. Abstract: A photo in which there is no subject, or the subject is not immediately apparent. Youth: A photo taken by someone currently enrolled in primary or secondary education and was born on or after 7th May 2000. Entrants in this category may submit photos conforming to any of the categories above. Copyright © 2018 — Craig Parry Photography. All Rights Reserved.